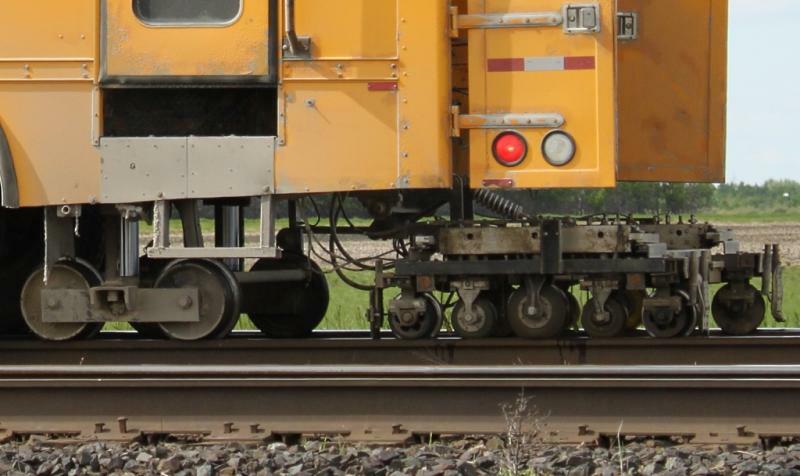 If you've spent any significant amount of time railfanning, you've probably seen one of these vehicles on or near the rails. 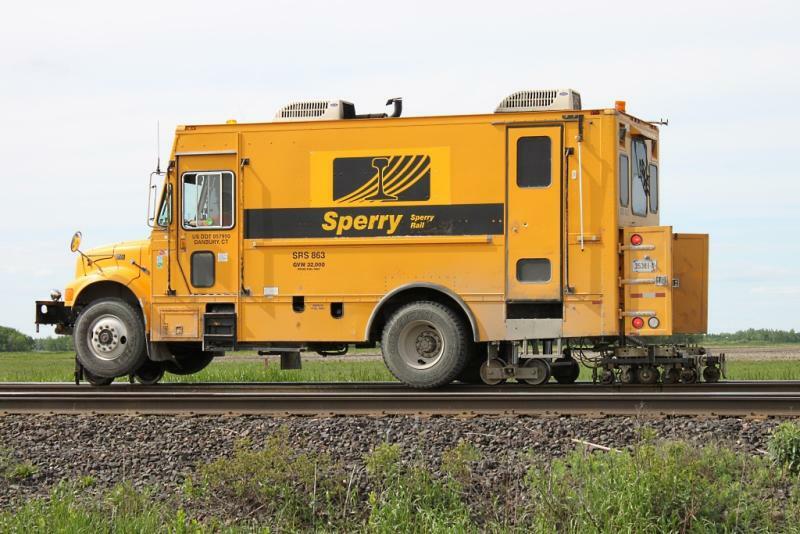 Sperry is a leader in the rail inspection business and has been performing rail inspections since 1928. 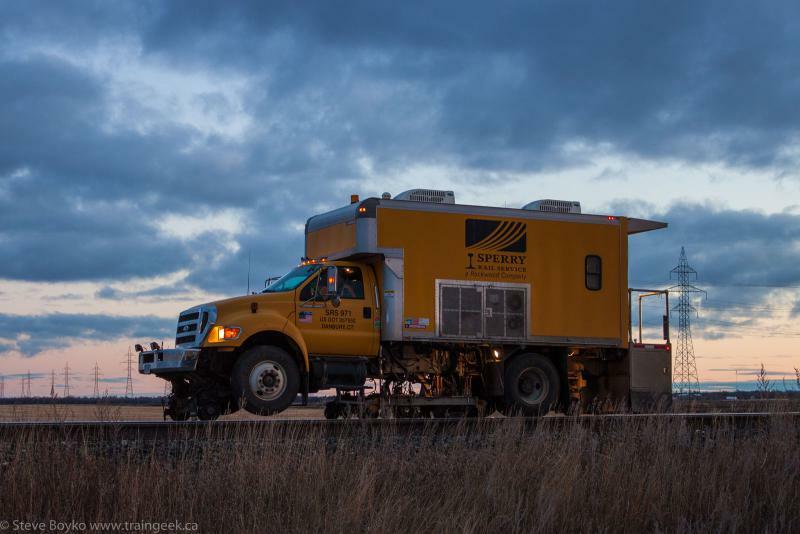 They perform induction and ultrasonic inspections to detect defects inside rails before they cause a major failure of the rail. 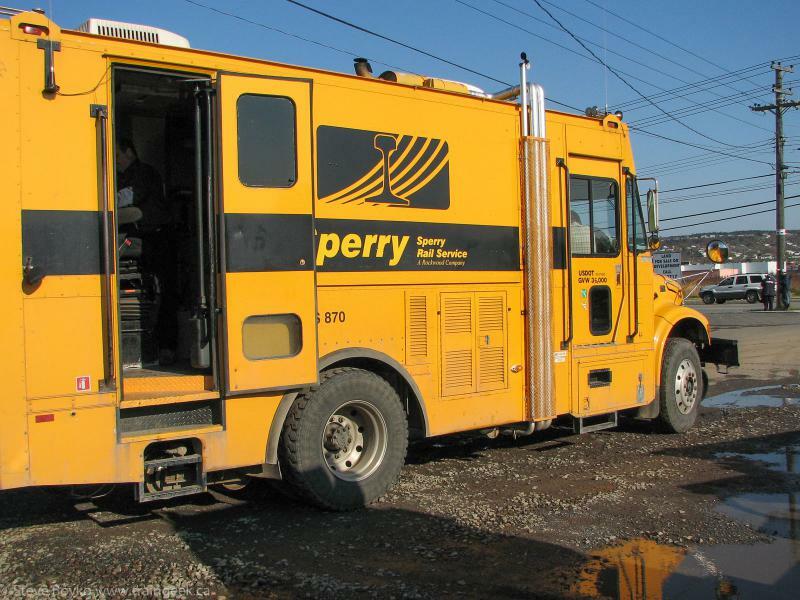 When Sperry started, they refitted old passenger "doodlebugs" with their induction equipment. I presume this was done because the doodlebugs were ideal platforms, being self-propelled with a large empty interior space. In recent years their rail-mounted trucks have become more prevalent and I heard all of the rail-only vehicles have been retired... but I'm not convinced that's true quiet yet. I'm sure the doodlebugs were getting old, and trucks are easier to get to locations because they can switch between road and rail with ease. Also I expect the equipment is getting smaller so large vehicles are no longer required. The very first "doodlebug" Sperry vehicle I photographed was at Valjean, Saskatchewan between Chaplin and Parkbeg. It was during a blizzard and I happened to spot it rolling west on the CP main line. We pulled into the tiny, tiny town of Valjean and I photographed it at the crossing. 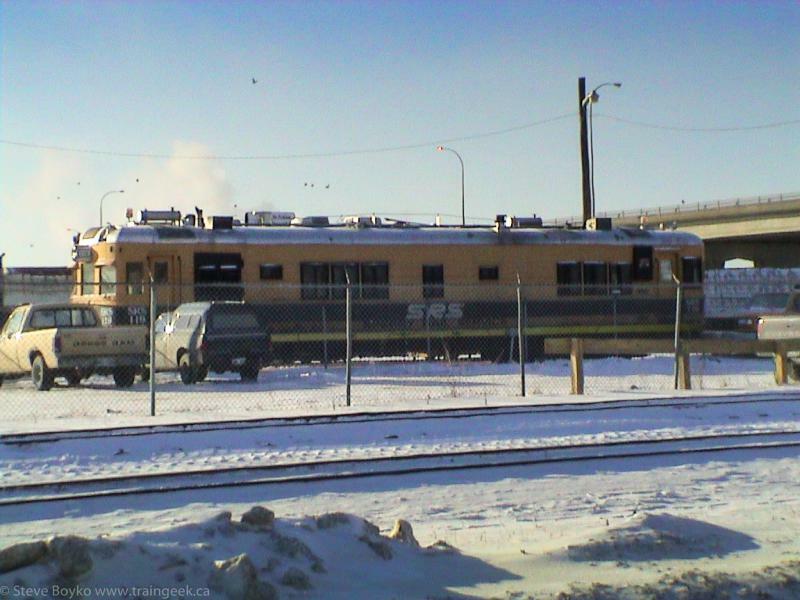 The next one I photographed was SRS 119 in the CP yards here in Winnipeg, around Christmas 2004. 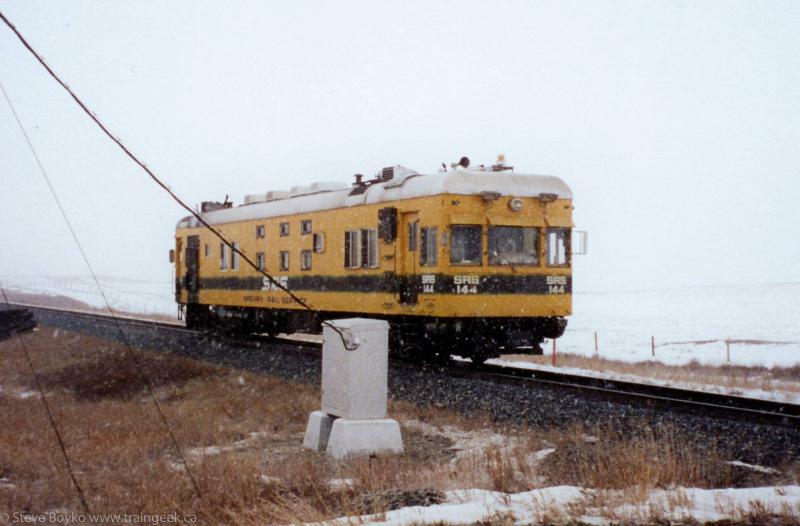 I captured SRS 136 (see top of post) in Calgary, Alberta just outside Alyth yard. I see a couple of other people did too. 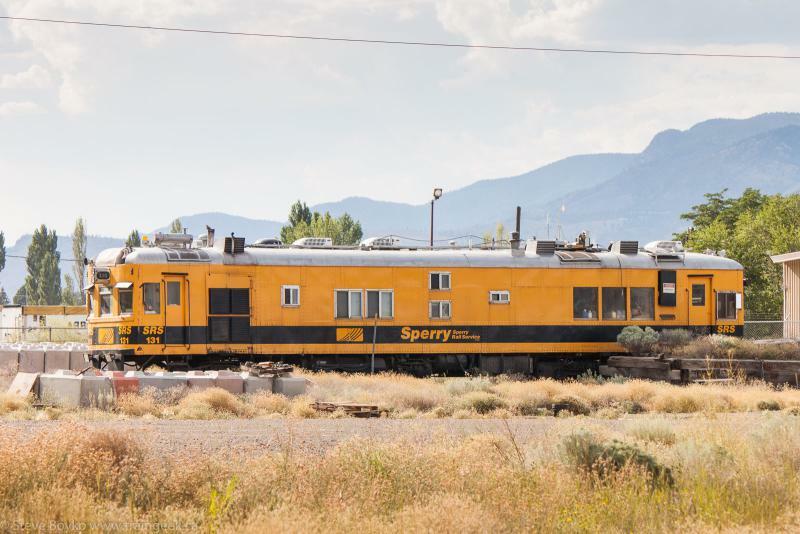 The last "doodlebug" I photographed was SRS 131 in Kamloops, BC in 2013. I think it's more or less permanently parked there. 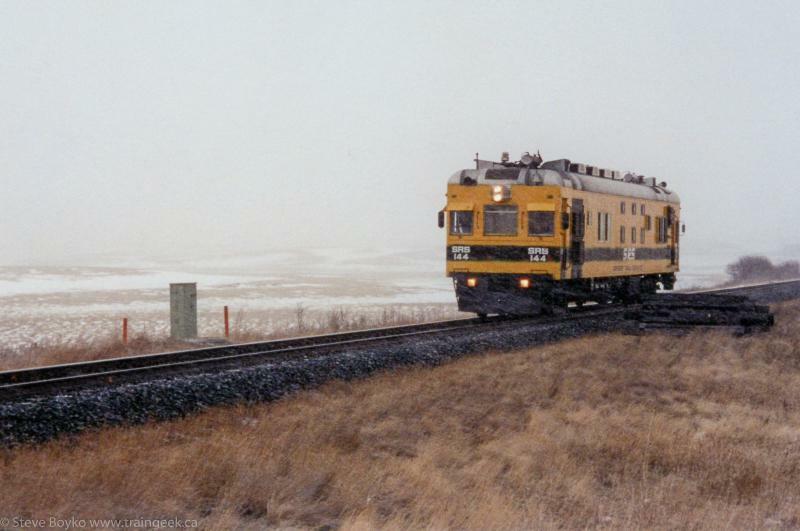 Jeff Keddy photographed SRS 138 in service near Rosser just west of Winnipeg on the CP main line back in early 2011. SRS 138 near Winnipeg. Photo by Jeff Keddy. 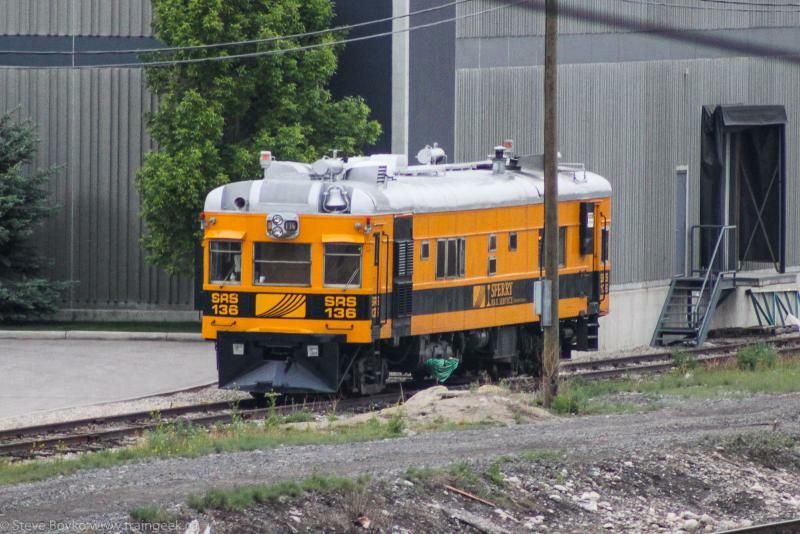 The most recent "doodlebug" photo I found was this one of SRS 125 on Railpictures from 2014. I see them a lot around Winnipeg, either parked at their favourite hotel on the south end of Pembina Highway, or out on the rails. Often I don't bother photographing the trucks but I'm glad they are out there doing their thing to help keep trains safe. And I've caught others Steve, including several photos of SRS cars passing through Kingston, ON and even one taking to the team track at Portage! Future Trackside Treasure posts! My first ever visit to Tehachapi Loop in December and a Sperry Hi-Rail was the only thing I saw. Ugh. Luckily I returned the next day and had more luck. I look forward to your future Sperry post, Eric! Oh, Karl, that would be SO frustrating to go to the legendary Loop and see no traffic! I used to be quite disappointed whenever I saw a MOW vehicle on the rails as it meant - on a single track line - that there were no trains coming. Since I railfan in mostly two-track areas it is less of an issue here in Winnipeg. I'm glad you did have luck the next day.